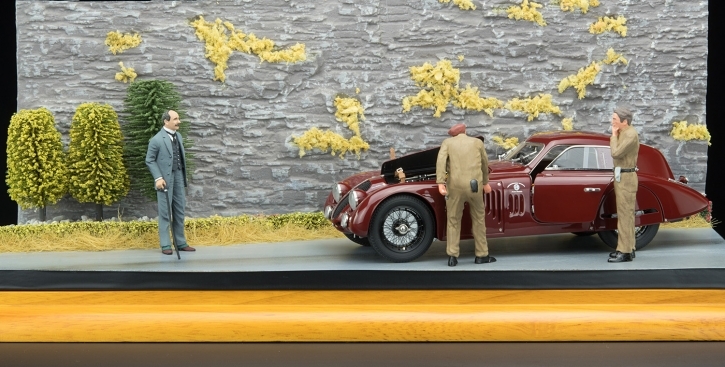 To pay tribute to courageous pioneering "speedqueens", the "Bugatti Nation Colour Project" is releasing a two-piece bundle item that consists of a Bugatti Type 35 replica in yellow finish and an attractive female racecar driver figurine (Item No. M-100 B-018). This item is only available as a two-piece bundle. Bugatti Type 35 dominated motor racing from the mid-twenties through the early thirties. It was a time during which women started to compete in male-dominated motorsport and managed to get established and honored. 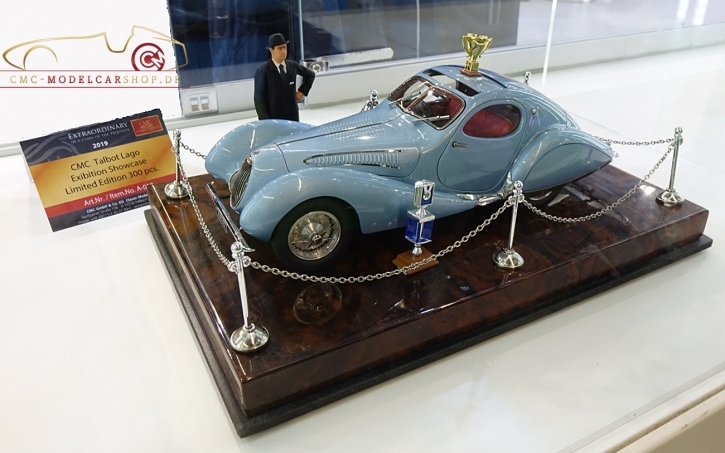 With the development of the Bugatti Nation Colour Project, CMC had the opportunity to gain an insightful look into racing from the mid-twenties to the early thirties. Back then, the racing scene was not only dominated by male star drivers of the professional racing teams, but also teeming with ambitious amateur males, known as gentlemen racers. It was truly sensational to see women racecar drivers rise to duel with the best male rivals of their time rerentlessly. This was a story of women asserting will and skills behind the wheel with impressive successes. The use of manufacturers’ names, symbols, type designations, and/or descriptions is solely for reference purposes. It does not imply that the CMC scale model is a product of any of these manufacturers. The use of racing team and/or driver names, symbols, starting numbers, and/or descriptions is solely for reference purposes. Unless otherwise stated, it does not imply that the CMC scale model is a product of any of these racing teams/drivers or endorsed by any of them.